In the Apuan Alps the spectacular marble quarries offer an evocative sight. 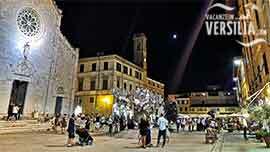 Here this precious white stone has been excavated since Roman times. Since then, it has been used for all sorts of different purposes: from the simple objects to more famous works of art and architecture. In the past the blocks of marble were carried to the plain with an ancient manual technique called “ Lizzatura” which is recalled each year thanks to the courage and skill of the last living “Lizzatori”. In the art laboratories of Carrara , at the Marble Museum and at open exhibitions, it is possible to see the history and the working of the marble. Chain of mountain crests which stand out clear and impressive on the remaining Appennino, this landscape with its still here and there intact places, and its marble quarries on the slopes is two thousand years old at least. The quarrying of the marble dates back to the 2Nd century B.C. and in the Roman time the work was carried out by slaves and convicts. 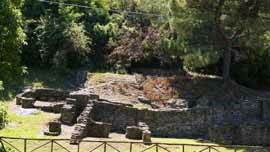 The excavation decreased during the High Middle Age and increased again after the year one thousand. In the first half of the 16Th century Michelagelo came frequently in Carrara to choose the stone for his masterpieces .Over the centuries the marble of Carrara has been recognized as a precious stone for buildings and for its white and colour varieties(bardiglio, paonazzo, fior di pesco, cipollino, arabescato,..). 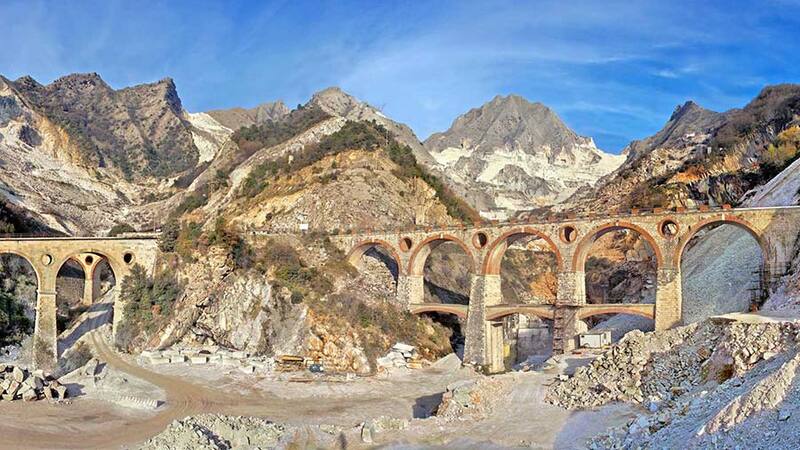 In order to visit the Apuan Alps, go from Carrara exit towards Campocecina, from where you could have a large view of the below quarries and follow the phases of the transport of the marble to the plain. 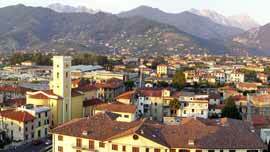 Before going back to Carrara, do not forget to stop in Colonnata, the country of the Lardo. Other interesting places are Fantiscritti, Pian Della Fioba and Isola Santa, all they situated in the area of Massa province.